The most successful director in movie history, Steven Spielberg has been responsible for such box-office blockbusters as Jurassic Park, Jaws, E.T. the Extra-Terrestrial, Close Encounters of the Third Kind, and the Indiana Jones trilogy. And yet throughout much of his career, Spielberg's work has been undervalued by critics who have questioned his emotional maturity and intellectual seriousness. It was not until he made Schindler's List in 1993 that he was widely recognized as a serious filmmaker. Until now, much about Steven Spielberg's personality and the forces that shaped it has remained enigmatic, in large part because of his tendency to obscure and mythologize his own past. 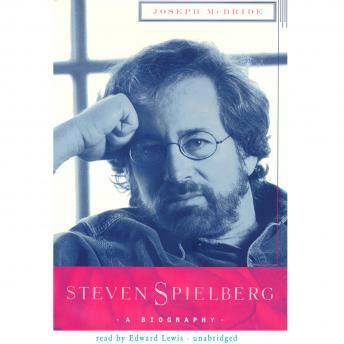 In this full-scale, in-depth biography of Steven Spielberg, Joseph McBride reveals hidden dimensions of the filmmaker's personality and shows how deeply personal even his most commercial work has been. With the same breadth of research and clarity of insight that characterized his acclaimed biography of Frank Capra, McBride has gone in search of the true Steven Spielberg, interviewing more than three hundred of the director's friends and associates, many of whom had never spoken about him before.